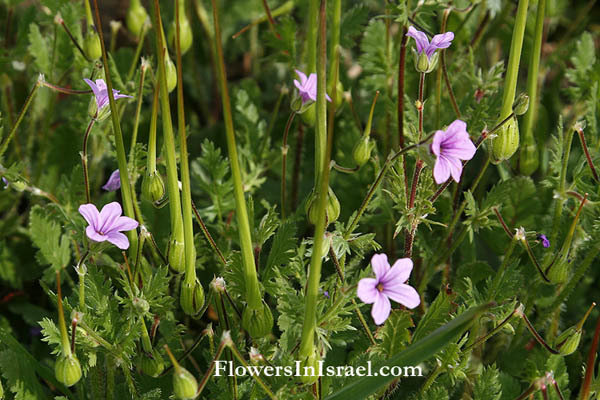 Scientific name: Erodium cicutarium (L.) L’Hér. 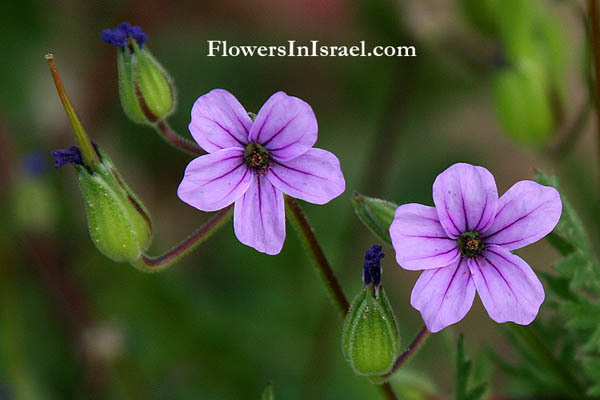 Erodium, Greek erodios, a heron; the carpels of these plants resemble the head and beak of a heron. cicutarium, cicuta, hemlock, poison from the hemlock; arius, connected to or possessed by; pertaining to hemlock. The standard author abbreviation L’Hér. is used to indicate Charles Louis L'Héritier de Brutelle (1746 – 1800), a French botanist and magistrate.